Cricket Dawn | Sachin Tendulkar and SCG – An evergreen romance! Somebody should make a film on this topic one day. It is because Sachin Tendulkar over the years has fallen in love with Sydney Cricket Ground (SCG), even though it is outside India. Anjali Tendulkar surely has some competition from the SCG! But humour aside, the Little Master has proved to be a menace for Australia over the years and one of those reasons has been his outstanding performances in the New Years Test at Sydney which have resulted in his average being a staggering 186.25. Although India has suffered from mixed results despite his successes, yet he is a joy to watch for Sydney’s fans and for that matter, in 2008 Aussie fans put up a famous banner paying homage to his batting which had the following words ‘Commit all your crimes when Sachin is batting. They will go unnoticed for even the Lord is busy watching him’. In 1992, Tendulkar was just into his third year of international cricket and it was his first tour to Australia. Yet the boy was not nervous and a stunning 148 not out transformed him into a man for sure as this was also his first hundred in Australia, and a prelude for many more to come. He hit 14 fours in an innings which was needed for India to put up a sizeable first innings total, after Ravi Shastri hit a well-deserved double ton. 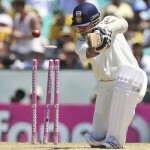 India were inches away from winning this Test match but unfortunately the match ended in a draw. Sachin failed to make an impact in 1999 at the SCG as India were whitewashed 0-3 under his leadership. However, he made amends four years later when India for the first time perhaps in their cricketing history challenged the Aussies in their own backyard. 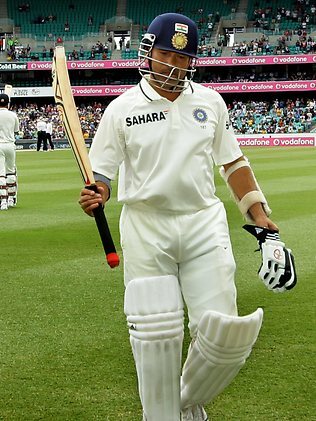 Prior to this match though, he was not in the best of nicks and this innings was even more special to watch. He made an amazing comeback; hitting 241 not out as India declared at a mammoth 705 for 7 in the first innings. The Aussie attack did not possess the likes of the then-injured Glenn McGrath and the banned Shane Warne, but to score against Lee, Gillespie, Bichel and MacGill is also no mean achievement. Besides, Tendulkar scored more than 95% of his runs on the leg-side, with not even a single four through the covers, which is usually one of his favourite run-scoring areas. This match too was over with a stalemate but it helped India retain the Border-Gavaskar Trophy and the knock re-established Tendulkar’s standing as one of the finest batters in the modern game. Come 2008, and Sydney would be the ground of shame for both India and Australia as the math was marred by controversies such as racial allegations by Andrew Symonds towards Harbhajan Singh, poor umpiring by the Windies’ Steve Bucknor in particular, and the then India skipper Anil Kumble accusing Australia of poor sportsmanship and cheating to win the Test. 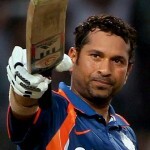 However, individually Tendulkar continued his merry-making by what can now be called a ‘customary’ SCG hundred. A relatively inexperienced Australian attack had to endure his class on a batting-friendly pitch with another unbeaten knock here. He finished at 154 as India went on score 532, getting a vital first-innings lead of 66 runs. But Australia went on to win and take a 2-0 lead in the 4 match series, under atrocious circumstances and another Tendulkar ton went in vain. This time around though, Sachin has been dismissed for 41 by the young and bubbly pacer James Pattinson but he would want to make amends in the second innings by not only hitting his much-awaited 100th century here but also help win India this Test after being shot out for 191.